You can create a page header for a report, but if that report is used as a sub-report, the page header and page footer of that report does not render. Instead, only the parent report’s page header and page footer will display. 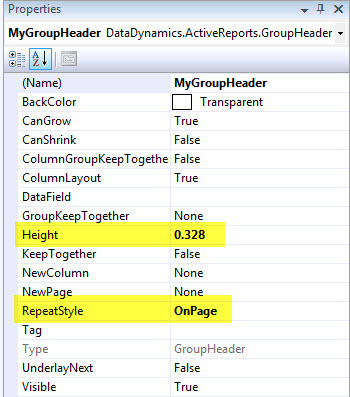 txtGroupHeader.text = "Group Header information"
3) What if you want to suppress the group header of your sub-report on page 1 of the rendered report? This may be desirable if at the top of your detail section of your parent report, you have a report header, and only want to see the group header on preceding pages of your sub-report. To do this, add the following logic to your script behind. txtGroupHeader.text = "Customer #: 11223344"
The following illustrates one way to communicate information from a sub report back to its parent or main report. It may not be the cleanest way, but it works. Let’s say you have a main report, RPT-001.rpx. This report has a page header. 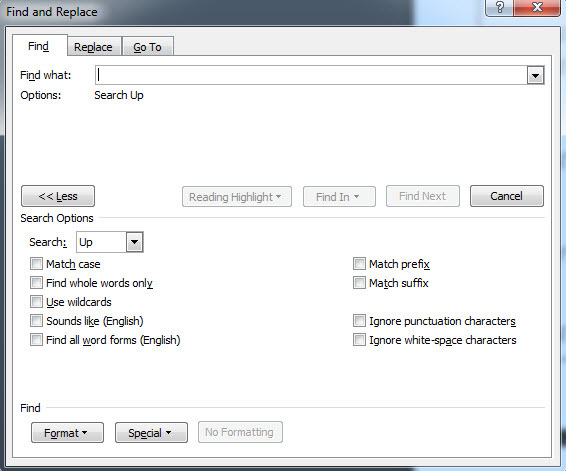 We already suppress the page header for page 1 and produce it for the remainder of the pages. (Interrogate rpt.pagenumber = 1 in the ActiveReport_PageStart to handle this). Now, this report calls five sub reports. The user asks to suppress the page header of the entire report for the last sub report, SUB-RPT-005.rpx (as we will call it here for example). 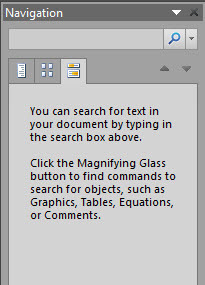 1) Add a textbox to your report header of the main report (Let’s call it txtSuppress). Set its Visible property to False. Set its DataField property to String.Empty (or blank). rpt.ParentReport.Sections("your main report’s page header Name").controls("txtSuppress").DataField = "SUPPRESS"
All the sub reports get processed in the main report’s ActiveReport_ReportStart section first. That means the logic (Step 3 above) in our last sub report, SUB-RPT-005.rpx, sets the DataField property of our invisible textbox, txtSuppress, on our main report next. Lastly, the ActiveReport_PageStart sub routine of the main report gets executed. Since we initialized our txtSuppress.DataField = String.Empty, the If statement (Step 2 above) checks for a value of “SUPPRESS” in order to set the visibility of our controls in the page header of the main report to False and sets the height = 0 with the result of NOT seeing the page header for sub report SUB-RPT-005. The first SELECT statement gives you a value of ‘NULL’.